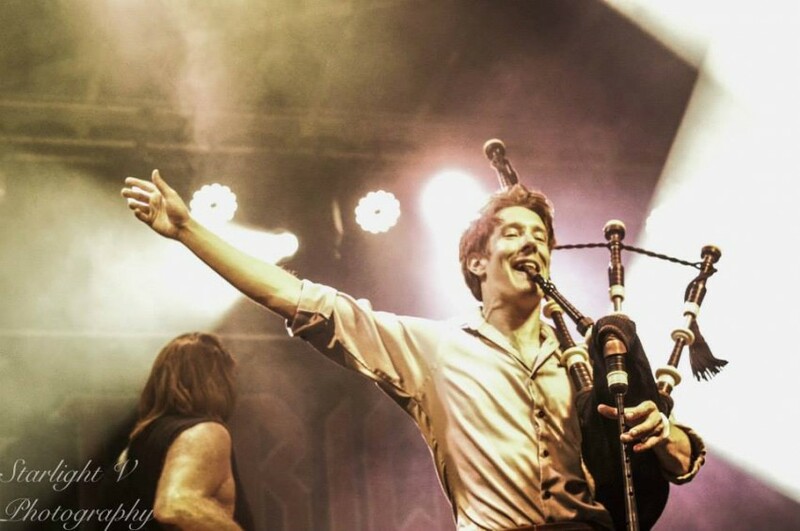 Piping with AC/DC cover band "Shoot to Thrill" - It's a long way to the top! Rocking out with ACDC tribute band "Shoot to Thrill"
Playing with AC/DC tribute band "Shoot to Thrill"
Oregon piper with AC/DC tribute band "Shoot to Thrill"
Professional Portland bagpiper for hire: weddings, wakes, funerals, and special events. 15 years of professional experience. 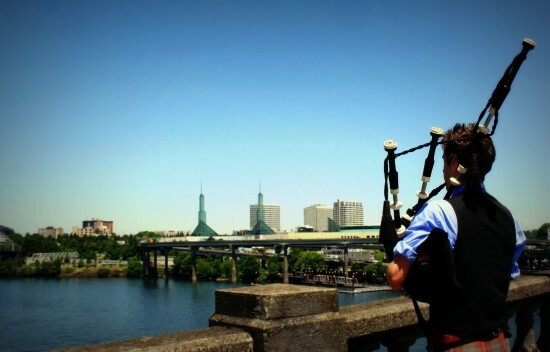 Oregon Piper has been providing professional bagpipe music to the people of Portland and the Pacific NW for over fifteen years. Pairing peerless experience with inspirational musicality, Oregon Piper is a professional you can depend on. With freedom of tune selection, you get your choice of any number of tunes, performed for any amount of time. Mark went the extra mile! We hired Mark to play at a small burial of my mother's ashes at a cemetery in Sweet Home. I live in California and just googled Oregon pipers. He responded and he couldn't have been nicer, more respectful or more accommodating. He traveled an hour and a half from Portland. But what really touched us is I asked him to play one of my mother's favorites - "It's a Long Way to Tipperary," which I was pretty sure was not a bagpipe tune. Mark adapted it for the bagpipe and played it beautifully. In fact, he played everything beautifully, and of course, brought tears to our eyes. My mother would have loved it- and him! Mark piped at my son's wedding May 14 2016. He traveled to the Oregon coast for the wedding. Mark was great to communicate with before the event and while there, he was a big part of the day, playing for the wedding party during the ceremony, he even stayed for the reception and played for the Bride and Grooms first dance together! Mark really helped to make the day special for everyone at the wedding! Thanks for a job well done! Cinco de Mayo Fiesta 2016 Hit! Mark played in advance of the US Immigration and Naturalization Ceremony, yesterday May 5th, at the Cinco de Mayo Fiesta at Waterfront Park. Mark was simply the best. His one man performance lit up the large area with authentic music and created a wonderful backdrop to our 32nd annual event. He was so easy to work with and showed up on time. I highly recommend him for any event. The Portland-Guadalajara Sister City Association thanks you from the bottom of our hearts. 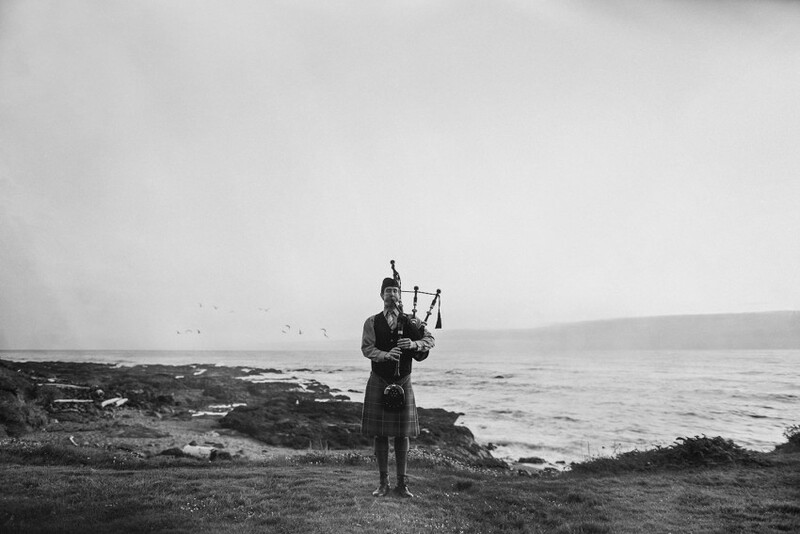 Throughout history the bagpipe has been used as a motivational instrument: be it instilling men to rush into battle, or creating an indelible memory at a wedding or funeral. 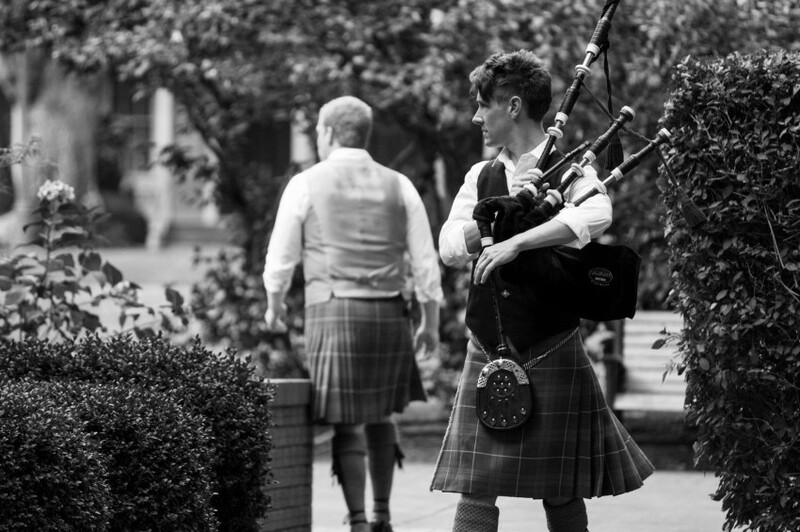 The bagpipe is a truly rare and exciting instrument to include in your event! Funerals- Amazing Grace is a popular request, and fits great partway through, or at end of the wake. Also, the bagpipe can create a somber and reverent mood if played in the distance at the cemetary. Special events/parties- Depending on the event, the bagpipe could be used to surprise someone on their birthday, or initiate a banquet. Throw an event your family/friends won't forget! Growing up in Portland, Oregon, and often attending the Portland Highland Games spurned my interest in the bagpipe. I loved how different and powerful the instrument was.